Ontario, December 3, 2013 – The holiday season can bring added stress to the many Canadians who already experience high stress throughout the year. Money, in particular, can be a cause of stress, as people feel demands to purchase gifts, prepare decadent meals and spend money entertaining or travelling to visit family. 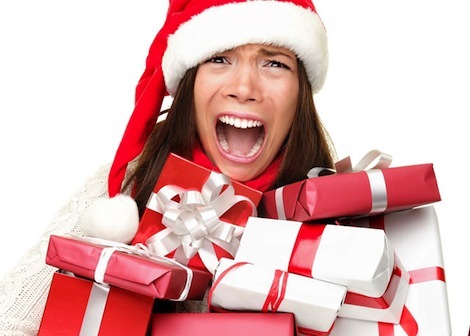 The American Psychological Association’s (APA) Stress in America(TM) survey has repeatedly found that money is a significant stressor for many people, and it is important to recognize its heightened effect during the holidays. Reframe. Refocus the holiday season on spending time with loved ones by creating a realistic budget for gifts and reminding your children that the holidays aren’t about expensive toys. This reframing can help you better manage your spending stress and redefine the celebration around what’s truly important. Volunteer. Make the primary focal point of the holiday about helping others in need. Go to a local Charity, such as a soup kitchen or shelter, where you and your loved ones can volunteer together during the holidays and throughout the year. Helping others can put your challenges in perspective and build stronger community relationships. Be active. No matter where you live or weather, going for a family walk will help manage your stress and perhaps start a free and fun holiday tradition. If you have snow, bundle up for riding sleds or building snowmen. Many local parks and community centres have holiday activities for the family, which can keep your family active and away from the constant temptations of fattening foods and expensive gifts that appear around the holidays. Take time for yourself. Taking care of yourself helps you to take better care of others in your life. Go for a long walk, take a needed nap, relax by reading something that interests you or listen to your favorite music. By slowing down you may find you have a better outlook on the season and more energy to accomplish your holiday goals. Seek Support. Talk about stress related to money and the holidays with your friends and family whom you trust. Getting things out in the open can help you navigate your feelings and work toward a solution. If you continue to feel overwhelmed, consider talking with a psychologist, who can help you develop strategies to better manage your stress. A psychologist has the skills and professional training to help people learn to manage stress and cope more effectively with life’s problems. For additional information on stress and lifestyle and behaviour, visit www.apa.org/helpcenter, read the blog www.yourmindyourbody.org and follow @apahelpcenter on twitter. To find out more about the Ontario Psychological Association, visit www.psych.on.ca and “Like US” on Facebook.